The apple doesn’t fall far from the tweet. 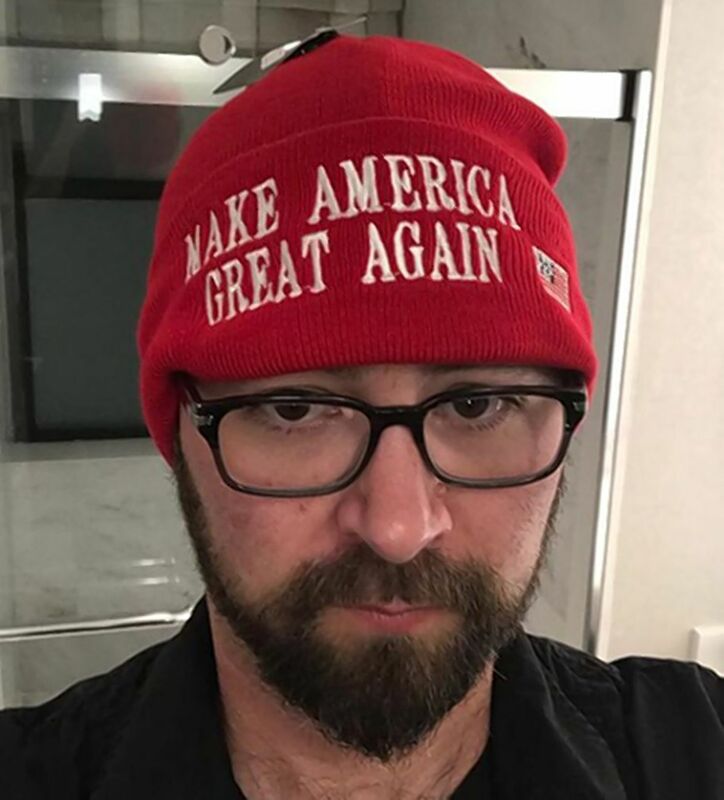 Roseanne Barr’s son also uses his social media feeds to spew racially charged vitriol about ex-Obama administration adviser Valerie Jarrett. Minutes after ABC canceled Barr’s namesake show Tuesday amid outrage over her comparing Jarrett to an ape over Twitter, the Daily News discovered her eldest son, Jake Pentland, engaged in similar tirades on his Instagram profile. 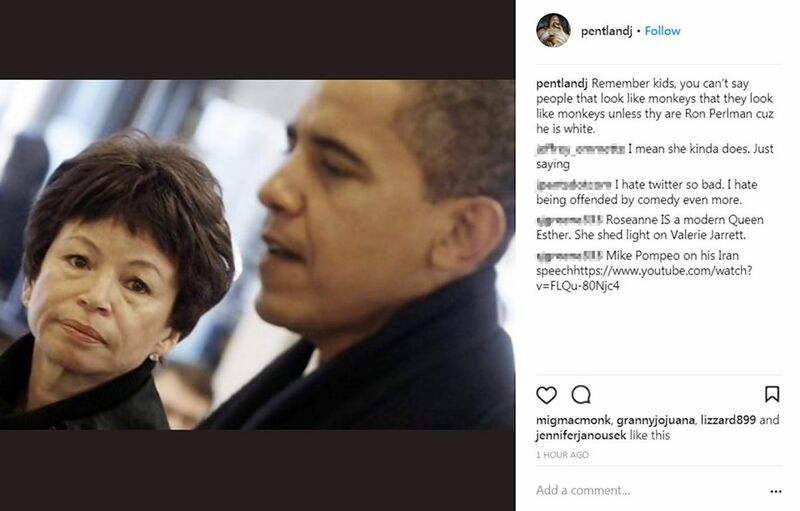 “Remember kids, you can’t say people that look like monkeys that they look like monkeys unless thy (sic) are Ron Perlman cuz he is white,” Pentland, 40, posted on Tuesday along with a photo of Jarrett together with former President Barack Obama. Jarrett, 61, who was born in Iran, is African-American and served as a senior adviser to Obama. Barr, a controversial actress and President Trump booster, was fired from ABC hours after tweeting on Monday night that Jarrett is the result of the “muslim brotherhood & planet of the apes” having “a baby.” Barr claimed in a separate tweet that prominent Jewish investor and Holocaust survivor George Soros is a “nazi who turned his fellow Jews 2 be murdered in German concentration camps & stole their wealth,” perpetuating an anti-Semitic and completely baseless right-wing conspiracy theory. Pentland came to his mother’s defense after the shocking tweet — and predicted her downfall. “Mom will probably Be called racist and fired for this cuz libtards think Muslims are a race but omg is it funny and true hahahahahaha,” Pentland posted along with a screengrab of his mom’s since deleted tweet about Jarrett. Like his mom, Pentland is a Trump supporter and recently posted a photo of himself donning a red “Make America Great Again” beanie ahead of his brother’s graduation. “I’m gonna look lit at graduation from libtard university,” Pentland captioned the photo. Pentland’s Twitter account had been suspended Tuesday afternoon and he could not be immediately reached for comment.